Whatever the season, the pure fresh air of the countryside invigorates us, inspires us, arouses us. Getting away, even for a day trip, refreshes our thoughts and attitudes. And finding a treasure trove of fresh, natural foods and locally crafted beverages, artisan jams and jellies, country-fresh eggs, that’s just the bonus that we take home to continue to renew our spirits. Here are the Top Ten agri-tourism venues in Spotsylvania County, Virginia - most are within an hour or so of Washington, DC. Remember to pack your cooler so you can take home your locavore loot. It’s a good idea to call in advance, or check websites for open hours, as many of these places are working farms and dependent on the vagaries of weather conditions. You’ll also need to know what’s in season to plan your shopping. If you’re planning on sampling adult beverages on your journey (is that even a question? ), check out the Grapes and Grain Trail pass for savings on tastings, merch and more. 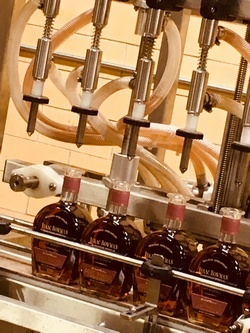 Most people think all Bourbon comes from Kentucky, but tucked away in Spotsylvania is the family-owned A. Smith Bowman Distillery, home of two world-class bourbons and much more. The Bowman family’s involvement in spirits dates back to before Prohibition when they distilled excess grain from the family’s abundant farm in Sunset Hills, VA. Their first post-Prohibition distillery was in Fairfax, and in 1988 they relocated production to Spotsylvania County. Since your friends will argue with you, you should know: There are only five requirements to craft bourbon - Must be made in the US using a 51% corn mash. Must be aged in new (as opposed to seasoned) charred oak barrels and be between 80-125 proof before aging, and no artificial colors or flavors are permitted in the finished product. Bowman has twice been honored in the prestigious World Whiskies Award for “Best Bourbon” by its international panel of judges. Production also includes whiskey, rum, gin and vodka, and a caramel cream bourbon that will rock your world. Informative tours of the behind-the-scenes works and barrel room run hourly. Join hop fanatics Tim Bornholtz and Stan Johnson on their quest for beer’s holy grail, “The Bacon Beer.” All kidding aside, these three guys, founders of the Stafford Brewers Club, have turned their passion into a very successful business. Now with two locations, you’ll find crafts brews of all types - IPA, Pilsner, APA, Wheat, Hefeweizen, Stout, and more - with new creations released almost weekly. 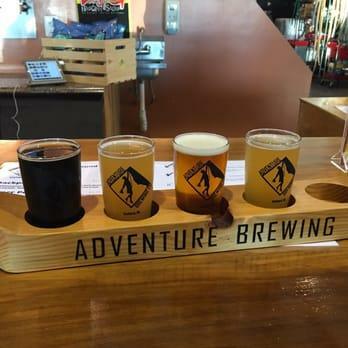 Seasonal and very-small-lot specialty offerings can include Second Ascent Double IPA, Bobsled Winter Ale, Pumpkin Patch Ale, or Go East Young Man Peanut Butter Banana Wheat. This huge 645-acre farm on the Rappahannock River features family fun! In spring, roast s’mores as you watch fireworks, hang out with the Easter Bunny, decorate flower pots or get your kid’s face painted. 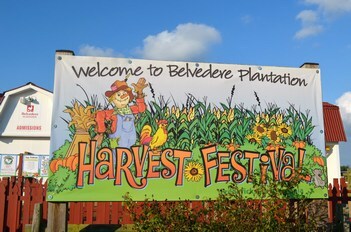 Check website for list of activities on any given weekend. Fall brings a Maise Maze and Pumpkin Patch, with associated Hay Rides, Fun Barn, Zippitydoo zipline, Olde Barnyard, Swine Speedway, Pumpkin Mountain Slide, Jumping Pillow, Barrel Train, Pedal Tractors, Little Farmers Corral, Straw Jump, Trike Track, Spider Web, Ball Zone, Colonel’s Corn Box, and Back 40 Games. There is a market and bakery on-site, as well as The Red Rooster Grill for your dining pleasure. Think country fair with kettle corn and funnel cakes. The Robertson family purchased the land that has become Botanical Bites back in 1988 and thought they would retire here. Husband Thomas grew up on a farm in Amherst County, but was detoured by a 40-year medical career before becoming first a hobby farmer, now a thriving agricultural entrepreneur. Ecologically sensitive, the farm uses no pesticides or herbicides and sells tomatoes, watermelons, squash, blueberries and other produce from May through September, and plants and flowers such as snapdragons, zinneas, and sunflowers. Organic honey is expected to arrive soon. Asparagus and artichokes can be had earlier in the year. Wife Anita, who formerly held a government job in DC, enjoys the opportunity to spend more time with family, exercise more and eat healthier. And son Julian works with dad on the farm in addition to taking care of business matters. 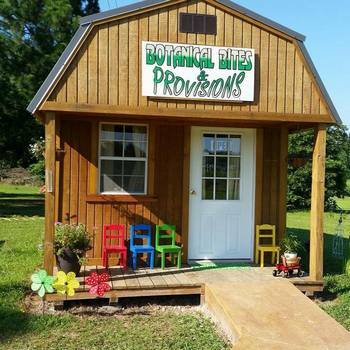 In 2016, Botanical Bites was named Small Farm of the Year by Virginia State University, evidence that the family has come upon a successful formula for providing fresh, local, healthy produce to their discerning customers. A brick walkway leads to a small red tasting barn on this 12-acre estate. Entering you find grand wood-beamed cathedral ceilings and a tasting bar manned by owners Linda Morrison and Gary Gratopp. 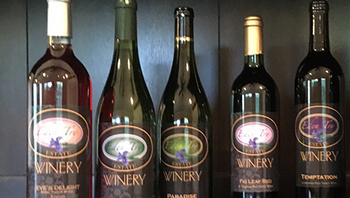 Eden Try – a “try at recreating the Garden of Eden” say Linda and Gary - is on the small side in terms of production, but uses only 100% Virginia grapes. The wines have Eden-themed names, like Serpentine Blanc, Eve’s Delight, Adam’s Rib, Fig Leaf Red and Forbidden! Stroll by fountains, flowering trees, and gardens throughout the estate. There is a footbridge that leads to Virginia’s largest largest rhododendron, fondly known as “Grandpa,” according to the Rhododendron Society. The winery is only open Sundays (and occasional Saturdays) April through November because the real story here is your wedding. An acclaimed venue according to Wedding Wire and the Knot, definitely scope out this site for your special day. “We are committed to welcoming folks across all of Virginia to share in our bounty for a relaxed, fun experience that may calm an otherwise stressfull day/week,” says owner Jeff Heidig. As one of Virginia’s oldest farm wineries, the Heidig family, now in its second generation, has made this simple formula come to life. Founder Bill Heidig and his wife Ann found inspiration in the beautiful French countryside and brought his dream home to Spotsylvania. The simply furnished lounge is graced with a long tasting bar and big screen TV. The outside deck and scattered picnic tables offer fresh breezes and a relaxed atmosphere for lingering with a glass or bottle. Karaoke, jazz, zydeco and more happen with regularity throughout the summer, and tours of the winery facility are a treat to take advantage of. There is even a Renaissance Faire and Caribbean Beach Party on the calendar. With all this activity, don’t overlook the wine! 100% Virginia grown, with the majority of grapes grown right here on the property, Lake Anna offers Merlot, crisp Seyval Blanc, Totally White, Spotsylvania Claret and more. Enjoy winemaker Graham Bell’s work in this picturesque, family-friendly spot just three miles from the Lake Anna recreation area. 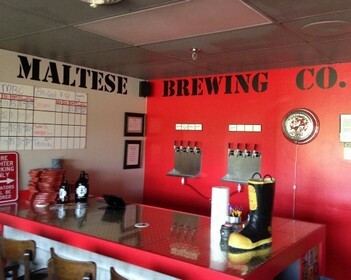 “The world’s most awesome nano-brewery” is the project of two firefighters, Bobby Cook and Joseph Smith. They take their beers as seriously (NOT!) as their jobs saving lives. The vibe at the brewery is that of a bunch of guys hanging out and enjoying their time on earth. “As we had been planting our grape vines, we were pulling up arrow heads, so we built them into the tasting bar, with ten layers of resin holding them in place,” says Mattaponi owner Janette Evans, who is of Cherokee heritage. 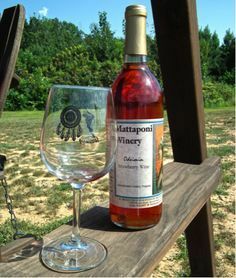 Mattaponi Winery has been making wine for over 20 years. At the Mattaponi Tasting Post, you can sample the usual Chardonnay, Cabernet Franc and Chambourcin, but Michael and Janette Evans pride themselves on their 100% fruit wines. Especially renowned is Odeimin, a luscious strawberry creation. “Many wineries in Virginia, as well as throughout the United States, add fruit flavor or concentrate to their grape wines to make a ‘fruit wine’. If you taste a fruit wine and it has a wine taste to it on the finish, it has been fruit flavored,” Janette says. “We are 100 percent fruit wine,” meaning that each fruit – strawberry, blueberry, blackberry, peach – is fermented, aged and bottled the way a grape wine is. The winery has received acclaim in national and international competitions. When you taste here, your wines are accompanied by cheesecake or farm fresh ice cream. Mamaponi Sunshine Sangria is made fresh daily. Mattaponi also stocks locally made BBQ sauce, a variety of salsas, popcorn, and oils, all of which can be sampled before purchase. In June, Mattaponi hosts the annual HOVA [Heart of Virginia Wine Trail] Salsa Fest, featuring live music, bbq and Puerto Rican specialty foods, and crafts vendors. Great way to kick off your summer! And, we believe this is unique in Virginia wine country, you can also get your Christmas tree here in November and December. Select your perfectly shaped White Pine and Norway Spruce then warm up with their famed mulled strawberry wine. On-site JoJo’s Kitchen is all homemade, all the time, using JoJo’s own recipes as well as her mom’s, grandmom’s and mother-in-law’s. Ranging from cakes, cookies and brownies, to appetiers and soups, to casseroles and ham or sausage biscuits, JoJo’s cooking follows the seasons. Come pick your own strawberries, broccoli, kale, collards and mustard greens as each comes into season. Each fall, a vendors fair, Taste of the Market, features the growers and producers of the additional products always available at the farm market. The extensive list of goods presented include everything from local meats, sausage, and cheeses, to eggs, milk and cream, to spices, flowers and firewood. A veritable one-stop shop! The Farmhouse Gift Shop entices with candles and potpouri, quilts and tea towels, wreaths and vines, soaps, cookbooks, pottery and wooden bowls, etc. On a vacation trip to Tuscany, endodontist Dr. Robert Pagan and his wife were struck by the similarity of the Italian countryside’s rolling hills to their farm at home, and the dream of a winery was born. Son Henry caught the fever and began to studying viticulture and enology at Piedmont Community College. Viognier, malbec and petit verdot are grown here, as well as 10 acres of hop plants including cascade, centennial and columbus hops, and experimental hop varieties for the state. Wilderness Run Vineyards opened in 2014, and in 2017, 1781 Brewing Company made its debut on the farm adjacent to the tasting room. French, German and Belgian influenced farmhouse ales are on tap. These are true micro-brews, so arrive early to avoid disappointment. “We strive to highlight the importance of knowing where the things we put in our bodies come from. We invite you to see for yourself just how much better things taste when they're closer to mother nature,” say the owners. In addition to wines made at the farm, Wilderness Farms pours a changing selection of wines from throughout Virginia as they await their new plantings of nebbiolo, barbera, sangiovese, chambourcin to come online. The winery also does cigar pairings, and you’ll find live music almost every weekend. Stroll around a bit and visit with the farm animals, or try your hand at catch-and-release fishing at the pond. Bring a picnic, or try some goodies from one of the food trucks on hand on the weekend. And, because we are in Virginia, your daily dose of Civil War History: General Stonewall Jackson was brought to the hospital at Wilderness Run after being shot at the Chancellorsville Battlefield, about five miles from where the winery stands today. His amputated arm is buried at nearby Ellwood plantation, while the rest of him lies in repose in Lexington, VA.